Firefighters have rejected a pay rise which the union says would have cost them key conditions. File photo. 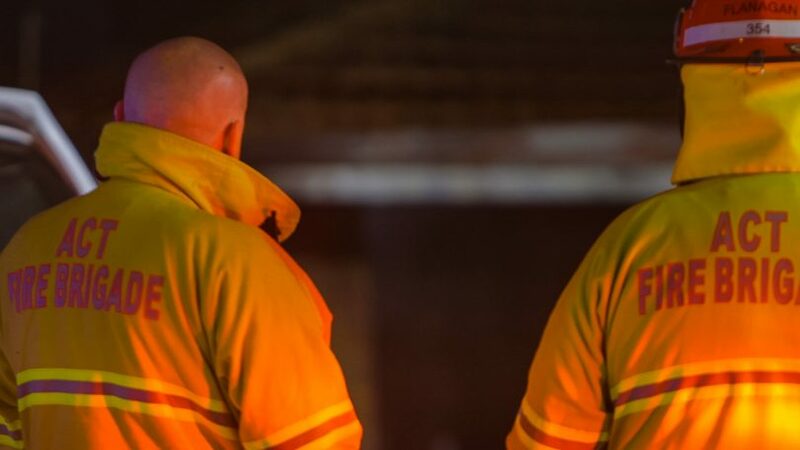 The smouldering pay dispute between the ACT Emergency Services Agency and firefighters is set to ignite with the union applying to take industrial action after a breakdown in negotiations. The ACT United Firefighters Union (ACT UFU) has applied to the Fair Work Commission to start the process of approval for firefighters to take protected industrial action over their new enterprise bargaining agreement. It says negotiations have bogged down, despite 26 meetings over two years. ACT UFU Branch Secretary Greg McConville said firefighters rejected a package in December last year that he said would have stripped away key conditions of employment in exchange for a 10 per cent pay rise in addition to the CPI pay increases agreed with public servants. The proposed deal would have seen the removal of the requirement for the ESA to agree with the UFU on standards concerning fire stations, uniform and protective clothing, recruitment, and training competencies; the loss of workers’ compensation make up pay; and the recruitment of senior officers above local candidates. It also would have established mandatory health and fitness assessments, which the union rejects in favour of a voluntary wellbeing program. The union says any industrial action would not affect public safety. Mr McConville said firefighters had put the people of the ACT first by insisting that funding should instead be put toward measures that would enhance community safety, such as additional firefighters, improved emergency response, and training. He said firefighters were not asking for a pay rise above CPI and believed that other firefighting resources desperately required funding instead. Mr McConville said the objective of firefighters was to create a modern fire service for the ACT, properly staffed, trained and equipped to provide the fire protection and emergency response the people of the ACT deserved. The UFU has applied to the Fair Work Commission for a protected action ballot order, which, if approved, will mean that the Australian Electoral Commission will conduct a ballot of over 330 UFU members. A 50 per cent turnout is required, with a majority of that turnout needed to allow industrial action to proceed. ACT Fire and Rescue is required to indicate whether they oppose a ballot order by 3 pm Wednesday (20 February). The ESA said it would be seeking clarification from the UFU on some of their proposed actions and that these would not affect public safety. It had proposed an urgent meeting with the UFU to further clarify their position, and would continue to work with the UFU, and abide by any Fair Work Commission rulings.